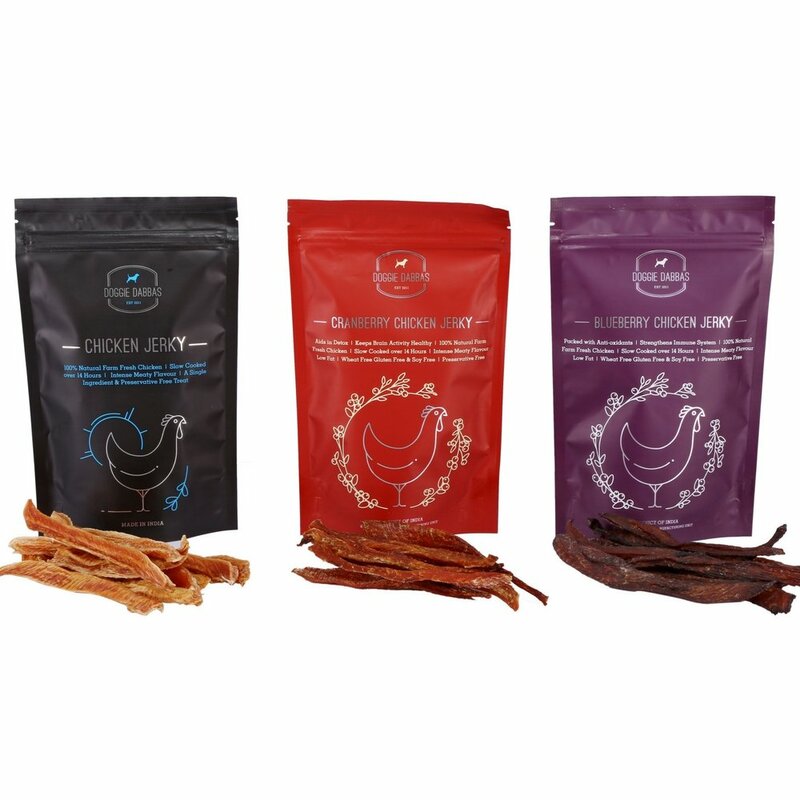 Doggie Dabbas chicken jerky is the first of its kind product in India! A single ingredient treat that is guaranteed to keep the doggies drooling for more. 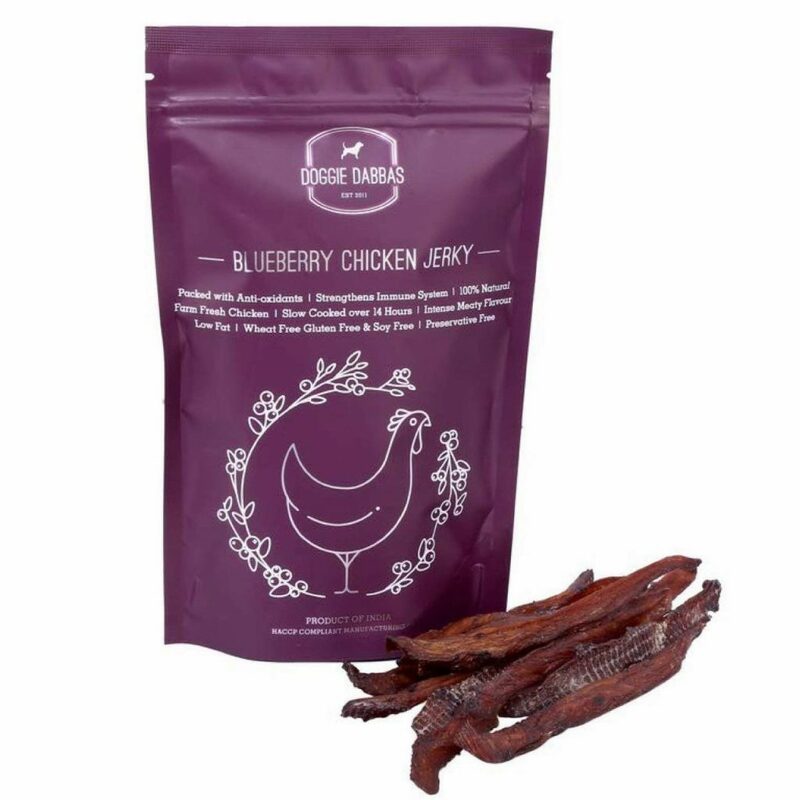 Crunchy and flavorsome our jerky can satisfy even the toughest bark buds! You won't find another packet of handmade goodness like this! Zero carbohydrates and a high protein content make it the perfect treat. What's more, it's healthy & low fat! 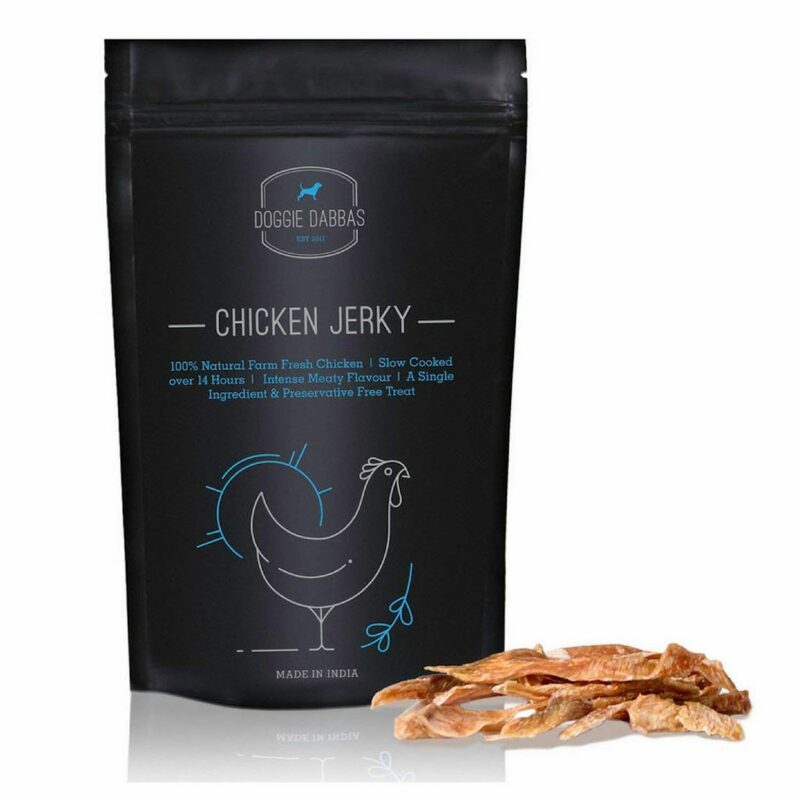 Perfect for puppies to chew on and adult doggies to gobble down. 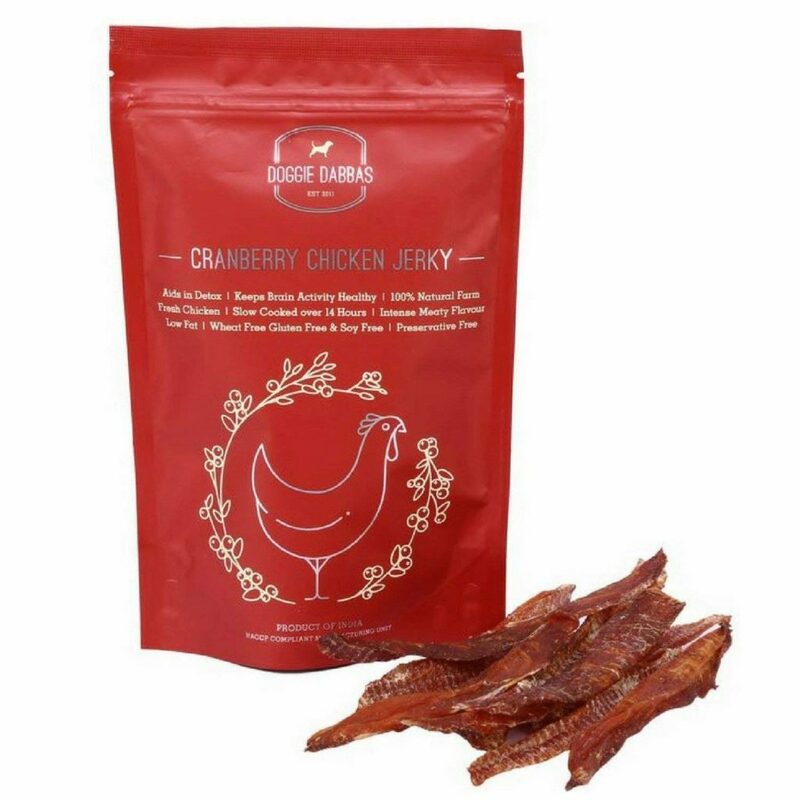 That's not it - our jerky is also PRESERVATIVE FREE! You won't find another packet of hand made goodness like this!